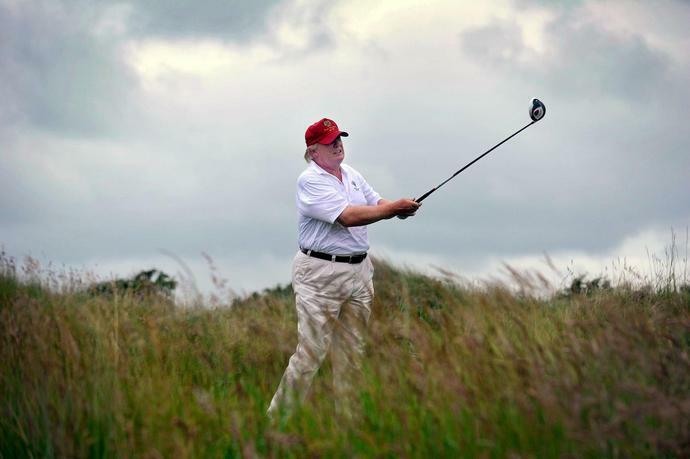 All of which is why we, despite being fellow golf dependents, are having a hard time feeling anything resembling sympathy for Donald Trump following reports that the government shutdown-now blowing into its fourth frosty week-has forced 45 into the most barren golf spell of his presidency. According to NBC News, the last time the Trump teed it up was November 25th, while on Thanksgiving vacation. When a planned Christmas pilgrimage to Mar-A-Lago was canceled due to the federal standoff, it became clear that Trump was going to go golfless for a significant period of time-51 days and counting, as it currently stands.